•	Yves Rocher email newsletter subscribers will be able to take five dollars off of their $25 or more order instantly after they have signed up for this free email program. Members will receive others was of coupon codes, deals, and discounts sent directly to their inbox as well. •	Buy One, Get One Free deals are quite common on this website. Special offers like this are advertised directly on the homepage, and sometimes customers can enjoy even more significant discounts advertised in these weekly spots. •	Visit the ON SALE section of the Yves Rocher website to find merchandise discounted by 40% or more off of traditional prices. 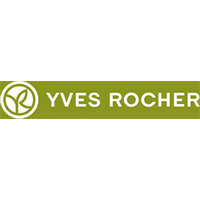 Yves Rocher offers a wide range of cosmetics, skin care and other personal care items. This site offers a free catalogue that can be accessed by clicking the link at the bottom of the page. There is a newsletter sign up at the bottom of the home page. Newsletter subscribers receive news about sales and special offers before they are publically announced. There is a toll free number to reach customer service. There is a scrolling graphic on the home page that announces special sales and deals. At the upper right hand corner of the home page there is a tab for beauty advice. For most up to date offers check out Yves Rocher on Facebook and Twitter or contact Yves Rocher Support for any questions.